It sounds (pardon the pun) as if the IoT may really be taking off as an important diagnostic repair tool. I wrote a while ago about the Auguscope, which represents a great way to begin an incremental approach to the IoT because it’s a hand-held device to monitor equipment’s sounds and diagnose possible problems based on abnormalities. (aside: I see this as another important application of my favorite IoT question: learning to automatically ask “who else can use this data?” How does that apply to YOUR work? But I digress). “… OtoSense is working with major automakers on software that could give cars their own sense of hearing to diagnose themselves before any problem gets too expensive. The technology could also help human-driven and automated vehicles stay safe, for example by listening for emergency sirens or sounds indicating road surface quality. 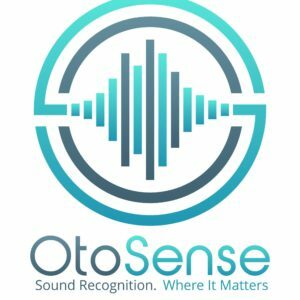 OtoSense has developed machine-learning software that can be trained to identify specific noises, including subtle changes in an engine or a vehicle’s brakes. French automaker PSA Group, owner of brands including Citroen and Peugeot, is testing a version of the software trained using thousands of sounds from its different vehicle models. According to NPR, the company is working to apply the same approach to a wide range of other types of machines, from assembly lines to DIY drills. As always with IoT data, handling massive amounts of data will be a challenge, so they will emphasize edge processing. OtoSense has a “design factory” on the site, where potential customers answer a variety of questions about the sounds they must monitor (such as whether the software will be used indoors or out, whether it is to detect anomalies, etc. that will allow the company to choose the appropriate version of the program. “Behind many of the greatest breakthroughs in machine learning lies a painstakingly assembled dataset.ImageNet for object recognition and things like the Linguistic Data Consortium and GOOG-411 in the case of speech recognition. But finding an adequate dataset to juxtapose the sound of a car-door shutting and a bedroom-door shutting is quite challenging. “Crowdsourced labeling of dogs and cats on Amazon Mechanical Turk is one thing. Collecting 100,000 sounds of ball bearings and labeling the loose ones is something entirely different. “And while these problems plague even single-purpose acoustical classifiers, the holy grail of the space is a generalizable tool for identifying all sounds, not simply building a model to differentiate the sounds of those doors. …”A lack of source separation can further complicate matters. This is one that even humans struggle with. If you’ve ever tried to pick out a single table conversation at a loud restaurant, you have an appreciation for how difficult it can be to make sense of overlapping sounds. Bottom line: there’s still a lot of theoretical and product-specific testing that must be done before IoT-based sound detection will be an infallible diagnostic tool for predictive maintenance, but clearly there’s precedent for the concept, and the potential payoff are great! LOL: as the NPR story pointed out, this science may owe its origins to two MIT grads of an earlier era, “Click” and “Clack” of Car Talk, who frequently got listeners to contribute their own hilarious descriptions of the sounds they heard from their malfunctioning cars. BRTTTTphssssBRTTTT…..
I’m a big advocate of incremental IoT strategies (check out my recent webinar with Mendix on this approach), for existing companies that want to test the waters first. However, I’m enough of a rabble-rouser to also applaud those who jump right in with paradigm-busting IoT (and big data) startups. Enter, stage left, a nimble (LOL) new home insurance company: Hippo! 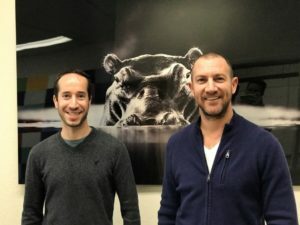 IMHO, Hippo’s important both in its own right and also as a harbinger of other startups that will exploit the IoT and big data to break with years of tradition in the insurance industry as a whole, no longer sitting passively to pay out claims when something bad happens, but seizing the initiative to reduce risk, which is what insurance started out to do. After all, when a Mr. B. Franklin (I’ll tell you: plunk that guy down in 2017 and he’d create a start-up addressing an unmet need within a week!) and his fellow firefighters launched the Philadelphia Contributionship in 1752, one of the first things they did was to send out appraisers to determine the risk of a house burning and suggest ways to make it safer. In fact, there’s actually a term for this kind of web-based insurance, coined by McKinsey: “insuretec” (practicing what he preached, one of Hippo’s founders had been at McKinsey, and what intrigued the founders about insurance as a target was that it’s a huge industry, hasn’t really innovate for years, and didn’t focus on the customer experience.). cut out legacy coverage leftovers, such as fur coats, silverware & stock certificates in a home safe) and instead cover laptops, water leaks, etc. Leverage data to inform customers about appliances they own that might be more likely to cause problems, and communicate with them on a continuous basis about steps such as cleaning gutters that could reduce problems. According to Pinkovezky, the current companies “are reactive, responding to something that takes place. Consumer-to-company interaction is non-continuous, with almost nothing between paying premiums and filing a claim. Hippo wants to build must more of a continuous relationship, providing value added,” such as an IoT-based water-leak detection device that new customers receive. At the same time, White said that the company is still somewhat limited in what if can do to reduce risk because so much of it isn’t really from factors such as theft (data speaks: he said thefts actually constitute little of claims) but from one, measured by frequency and amount of damage (according to their analysis) that’s beyond their control: weather. As I pointed out, that’s probably going to constitute more of a risk in the foreseeable future due to global warming. While offering new services, the company has firm roots in the non-insuretech world, because its policies are owned and covered by Topa, which was founded more than 30 years ago. 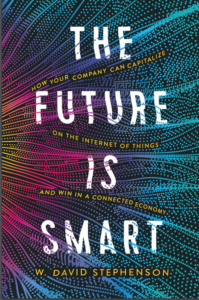 Bottom line: if you’re casting about for an IoT-based startup opportunity, you’d do well to use the lens McKinsey applied to insurance: look for an industry that’s tradition-bound, and tends to react to change rather than initiate it (REMEMBER: a key element of the IoT paradigm shift is that, for the first time, we can piece “universal blindness” and really see inside things to gauge how they are working [or not] — the challenge is to capitalize on that new-found data). 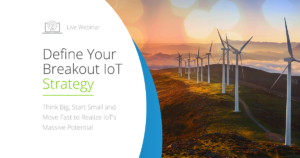 Creating Your Incremental IoT Strategy Webinar Tomorrow! Hope you’ll join me and Mendix (which, BTW, Gartner just tabbed as a platform as service [Paas] “Magic Quadrant” leader for its low-code tools for rapid app development! ), for a 10 AM (EDT) webinar Tuesday the 2nd on creating incremental IoT strategies (register here). In a way, this is an update of the e-book I wrote for SAP several years ago, Mastering the Internet of Things Revolution, in which I also outlined an incremental strategy for testing the IoT waters and then building on those early experiments for more comprehensive change. That’s important if your company doesn’t have the resources for a total IoT makeover, or if you’re a little in doubt about how the IoT would benefit you. later, a radical transformation in products, away from sales, to value-added leases. Along the way I’ll show how the Mendix platform can play a role, — consistent with the democratizing data meme I’ve pushed since my Data Dynamite book — of empowering everyone, not just programmers, to quickly create enterprise low-code apps to capitalize on the incredible data the IoT yields. I love it when manufacturers stop selling things — and their revenues soar! That’s one of the things I’ll cover on May 2nd in”Define Your Breakout IoT” strategy, (sign-up) a webinar I’m doing with Mendix. 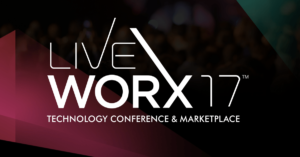 I’ll outline an incremental approach to the IoT in which you can make some early, tentative steps (such as implementing Augury’s hand-held vibration sensor as a way to start predictive maintenance) and then, as you gain experience and increase savings and efficiency, plow the savings back into more dramatic transformation. 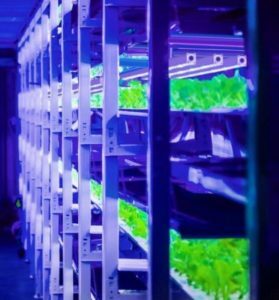 Most of the examples I’ve written about in that regard have been from major businesses, such as GE and Rolls-Royce jet turbines, that are now leased as services (with the price determined by thrust generated), but Mendix has a smaller, niche client that also successfully made the conversion: Hortilux, a manufacturer of grow lights for greenhouses. The Hortilux decided to differentiate itself in an increasingly competitive grow light market by evolving from simply selling bulbs to instead providing a comprehensive continuing service that helps its customers optimize availability and lifetime of grow light systems, while cut energy cost. Using Mendix tools, they created Hortisensehttp://www.hortidaily.com/article/31774/Hortilux-launches-Hortisense-software-suite, a digital platform that monitors and safeguards various grow light processes in the greenhouse using sensors and PLCs. Software applications interpret the data and present valuable information to the grower anytime, anywhere, and on any device. The app even allows predictive maintenance, predicting bulbs’ life expectancy and notifying maintenance to replace them in time to avoid disruptions in operations. In the days when we suffered from what I call “Collective Blindness,” when we lacked the tools to “see” inside products to m0nitor and perhaps fix them based on real-time operating data, it made sense to sell products and provide hit-or-miss maintenance when they broke down. the opportunity to improve operations through software upgrades to the product. Servitization: ugly word, but smart strategy. Hope you’ll join us on the 2nd!